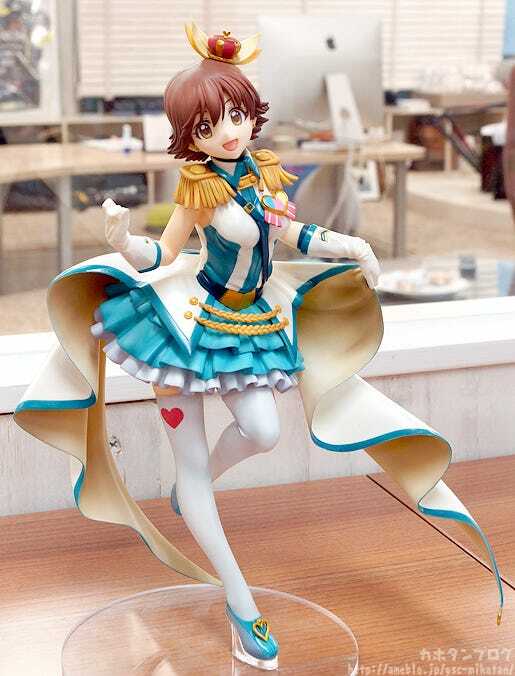 Kahotan's Blog | GOOD SMILE COMPANY Figure Reviews | Mio Honda: Crystal Night Party Ver. 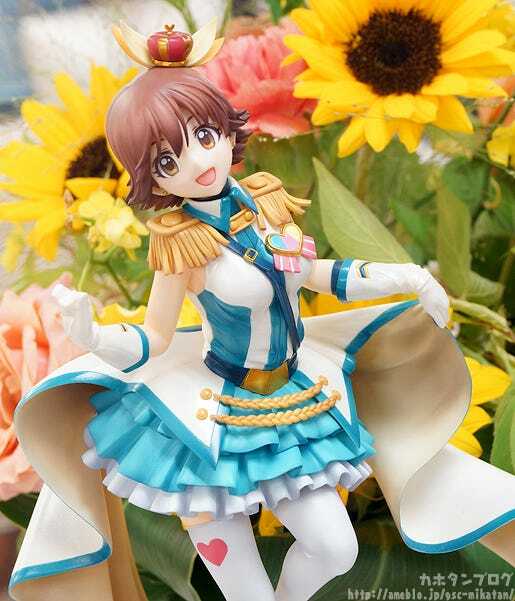 From the popular anime ‘THE IDOLM@STER CINDERELLA GIRLS’ comes a 1/8th scale figure of the New Generations member Mio Honda in a ‘Crystal Night Party’ version! 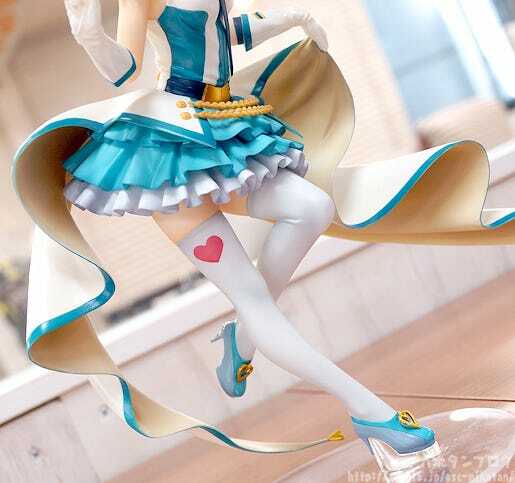 Mio is posed wearing the ‘Crystal Night Party’ outfit she is seen wearing in both the opening theme of the anime’s second season as well as in the last episode of the series. 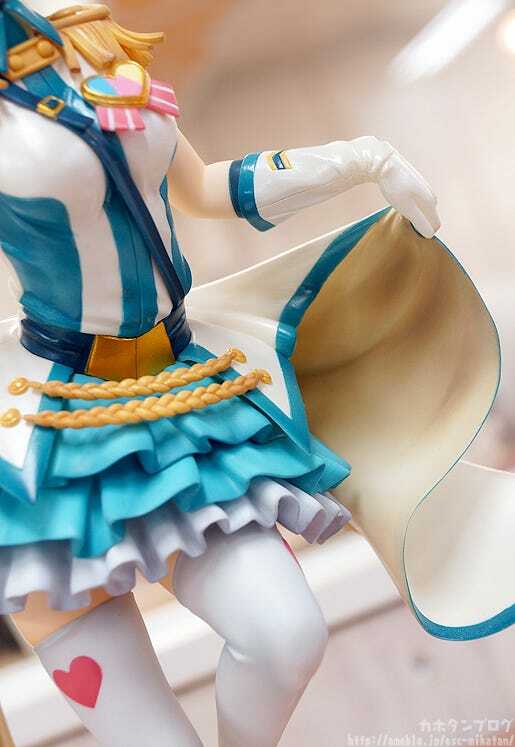 It is an outfit that shouts out what it means to be an idol with it’s shining and colorful design – a design which has been intricately sculpted and painted for fans to enjoy in their collection. 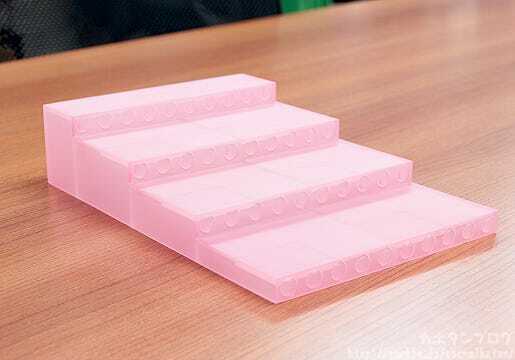 Uzuki Shimamura: Crystal Night Party Ver. 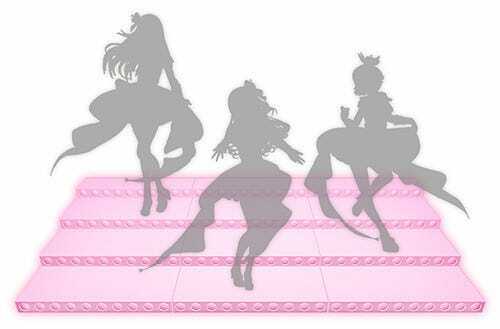 has already been announced, and a figure of Rin Shibuya in her ‘Crystal Night Party’ outfit is also on the way – so be sure to display the three together! 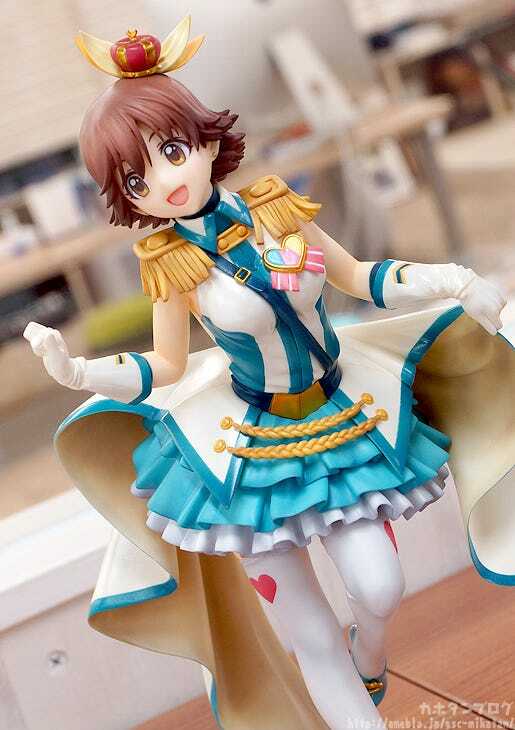 The second in the ‘Crystal Night Party’ series – Mio Honda! 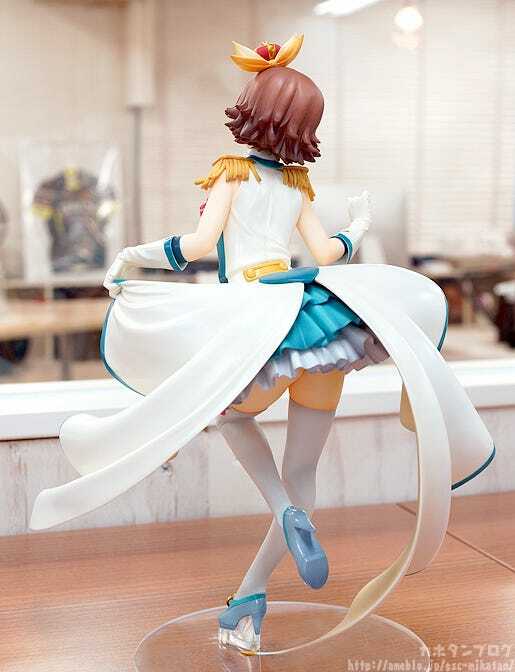 The figure is sculpted by Tomogomahu! Chanmio is also rather well known for her rather impressive body and curves, and the figure really does them justice! 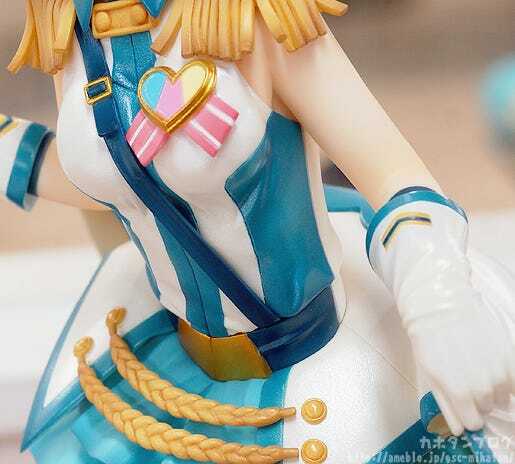 Take a nice close look at the area just above her bellybutton, or the area between her upper arm and the brooch on her chest! 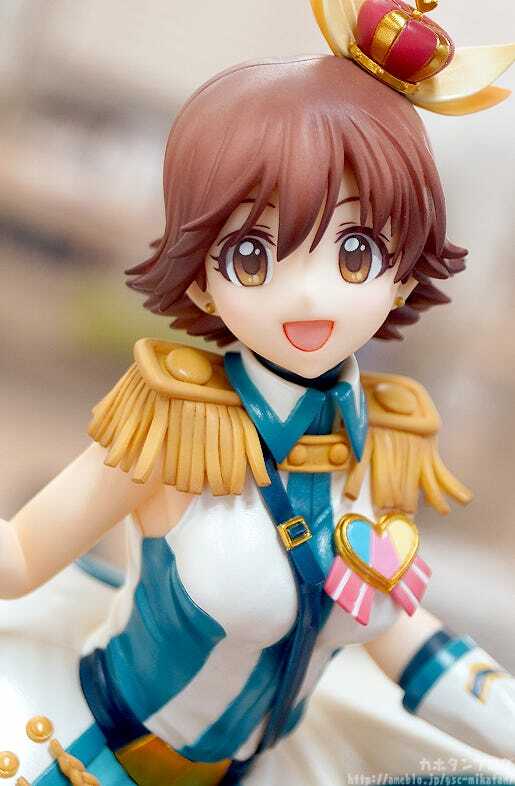 They all look so realistic… you can’t help but want to try and run your finger along the various uneven bumps of her outfit and smooth skin… but you’ll have to wait until she joins your collection to do that! Let’s take a look a little bit lower! △ Look at the wrist area on her glove here! * The same bonus is also planned to be included with Rin Shibuya: Crystal Party Ver. 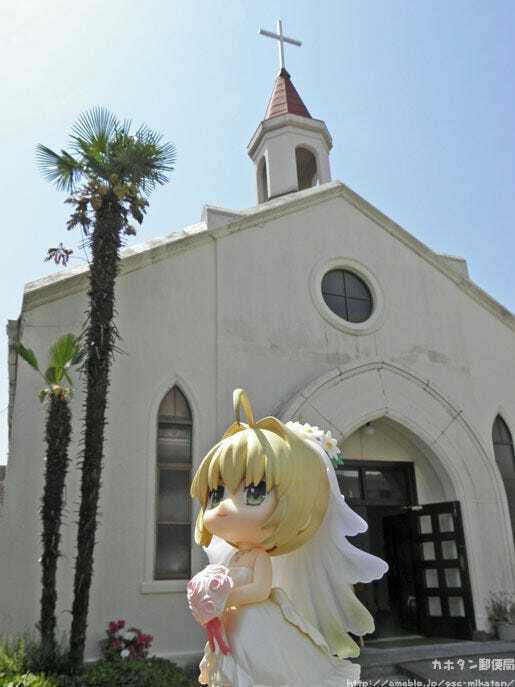 A photo together with Saber in Kitano, Kobe. The building seemed to suit the Dress-Up Wedding series nicely!